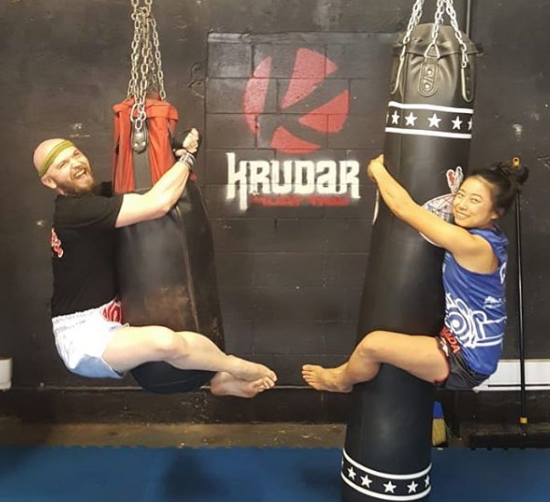 Yumiko Kawano, also as known as “Samurai” for her excitement and passion in the ring brings forth years of Muay Thai training and fighting experience to Krudar’s Personal Training Team. Yumiko holds the 2015 Muay Thai Ontario Provincial Championship Title and the IFMA Pan-Am Gold Medal for 2017. Yumiko’s unique and bubbly personality coupled with her advanced education in Social Justice and studies as a PHD Candidate enable her to offer a holistic approach to training. She focuses on the importance of the mind, body, and spirit working together to bring forward the best results, confidence, and well-being. Yumiko is the type of trainer who studies many aspects of her clients life, understanding habits and lifestyle, and identifying opportunities for improvement through fitness. She offers experience and knowledge stemming from her sports background in basketball, biking, and running. She tracks and studies her clients much like a doctor and works to improve specific, individual goals whether they may be mental, physical, or spiritual. Her funny and charming Japanese character make each experience memorable, effective, and whole lot of fun. Yumiko is currently accepting new clients, please contact (416) 923-5633. ​For the new year, my sister and I decided to get into 2-on-1 training at Krudar with Yumiko and have had an incredible experience thus far. She has provided a training program that is unique to my needs and strengths, while making the trainings fun, motivating, and exciting! Yumiko has helped me expand upon my exercise regime with customized routines, introducing variety and even remixing old routines to be more interesting and engaging. She has helped me build a great deal of strength and balance in areas of weakness in a safe, supportive, engaging, focused manner. 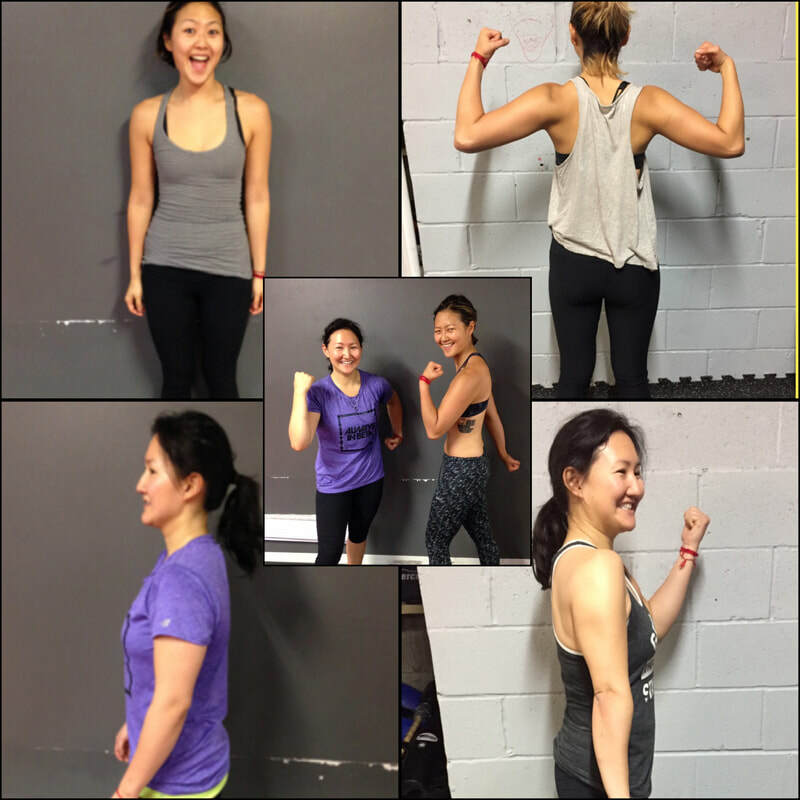 The improvements and results from Yumiko's personal training has given me the determination to continue on this path of maintaining the positive results and effects of the training! ​I highly recommend Yumiko’s personal training, as my experience with her has been fun, challenging and extremely encouraging. I am impressed by her ability to cater to my needs to make sure that I do not plateau, which can happen with continuous training. In addition, she ensures that your safety and injury prevention is top priority. With her expertise you will achieve the results you are looking for. I did my first 10 one-on-one sessions with Yumi and it was honestly the most fun I've ever had. Yumi is one of the best coaches I've ever had! She was extremely tough on me and really really pushed me to my max but I achieved a lot of things I didn't even know I could achieve. She's super tough but at the same time, she will motivate and inspire you to push yourself more than you ever have. She's amazing :') and I can't wait to have more sessions with her! She really inspires me to work harder not only at Muay Thai but also in my general fitness. I would recommend working with Yumi. ​I want to especially thank you for being my patient and thoughtful Muay Thai Trainer. You go out of your way to design exercises to help me improve my balance, which has improved significantly since I started training with you in June 2017. My name is Daniel Dees and I have been studying the international warrior arts for over thirty years. I came to Krudar Muay Thai, and specifically Yumiko Kawano, to learn traditional Muay Thai. Yumiko has a reputation as a highly technical instructor with not only a passion for Muay Thai, but a passion for watching her clients grow. Yumiko thrives on building solid fundamentals in all her students, and her attention to detail is astounding. Built from the ground up, all her clients can expect a personalized training program that begins with basics, and branches out into the wide breadth that is Muay Thai. Beyond her skills in the ring, Yumiko has also shown to be a tremendously compassionate, kind, and humorous trainer as well, and I could not recommend her more for both the beginner, and the seasoned martial artist. I start training with Yumiko Kawano in November 2018 and I barely could do a proper push up not talking about a pull up on a bar. During the first session, she helped me setting my goals: I wanted to strengthen my upper body and be able to do proper push ups. After that, I choose to train with her because I felt she is efficient in guiding your progress step by step. During the entire training until the end, she was very positive, engaging and encourage every progress even during down time. Yumiko is a very enthusiastic and passionate trainer and is able to make the most difficult exercise easy. After few weeks of training, I even surprised myself doing a half pull up on the bar with ease and I realized if you want to reach certain goals, you need to be patient and the training has to be progressive. Today, I am happy with my training with her, with my progress because I reached my goal. Most importantly, Yumiko taught me how to stay motivated, and maintain the workout after her training. Her program was very efficient and she takes her role seriously. Nevertheless, I never felt being pressured and she is skilled helping you to keeping it down while doing a hard exercise. improve any weaknesses you may have. push you have always been looking for!